Prestashop CAPTCHA module for contact form and registration form. 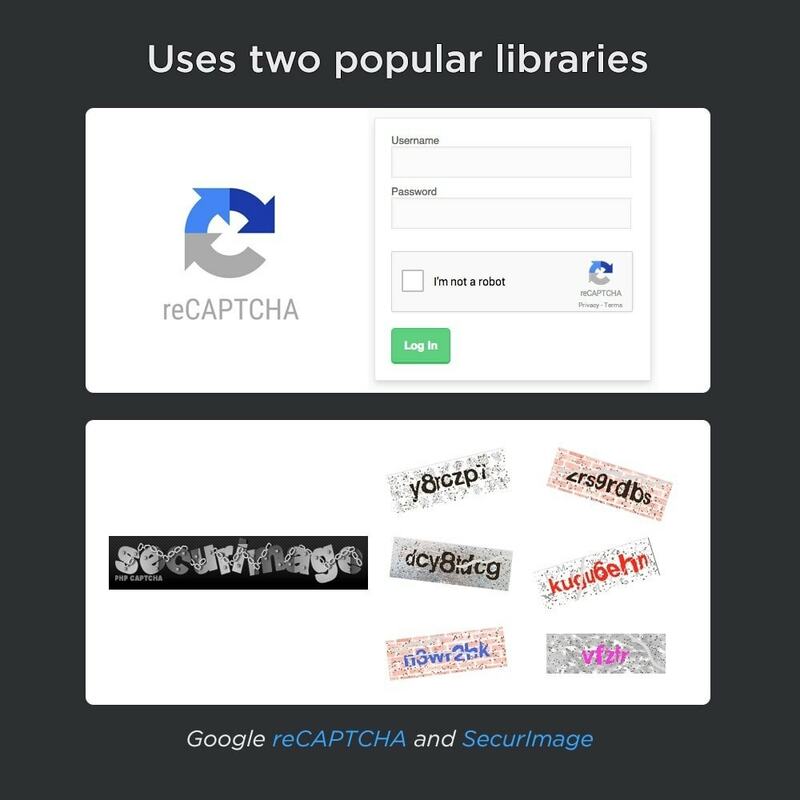 Say goodbye to SPAM and customize your captcha to suit your website design. Are you tired of spam messages and loose too much time deleting them every day? Are you not sure anymore which one of your customer is a real customer and which one is a fake one? 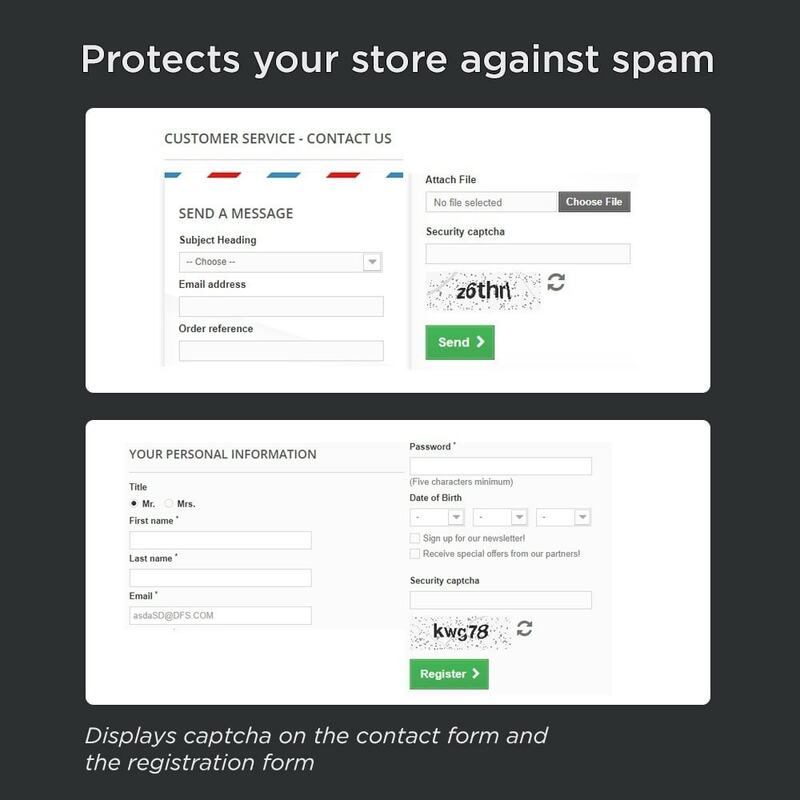 These days are over, CAPTCHA Pro is the most advanced module on Prestashop marketplace, it protects you against the SPAM and saves you a lot of time that you usually spend deleting emails and customers. 1 Click install and it's done. Why spend time to implement captcha libraries that are not designed for Prestashop and are not fully compatible with your shop? 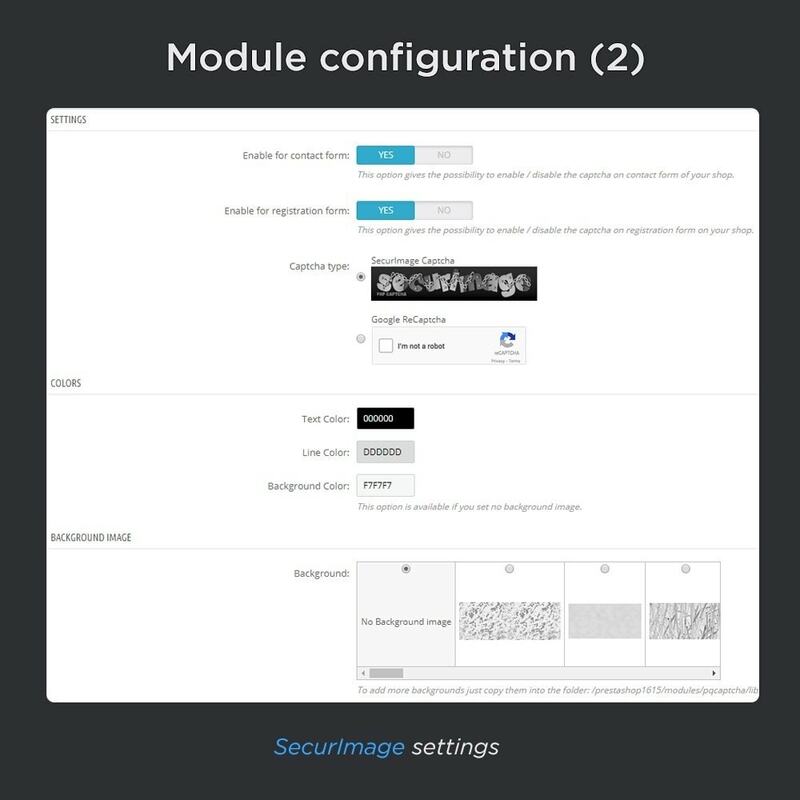 With this module you can get up and running in seconds. Enough with the words, the module speaks for itself, please check the demo link below and get convinced that this module is the best one on the market. 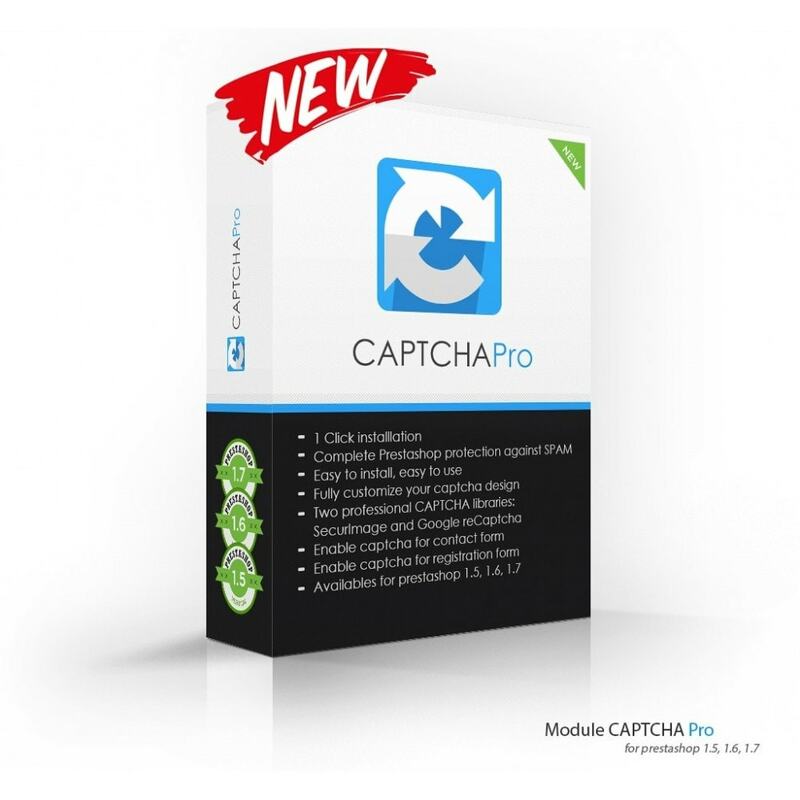 1.Why is CAPTCHA Pro the best module on Prestashop marketplace? We are experienced developers and we only develop good quality modules for our customers. 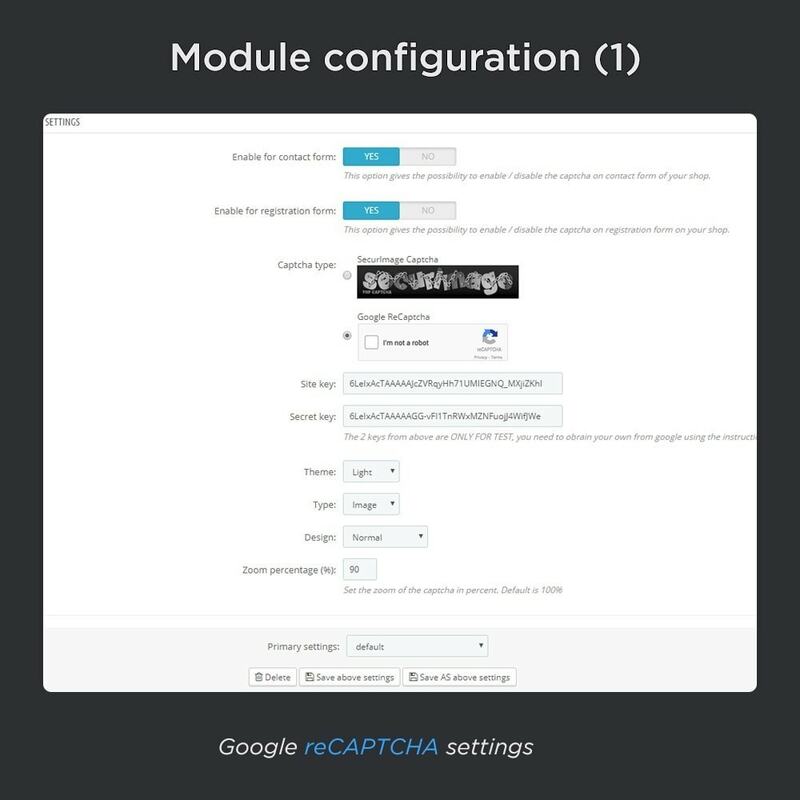 This module is the best CAPTCHA module on Prestashop because it has all the features other modules have plus a lot of new features that they don't. 2. 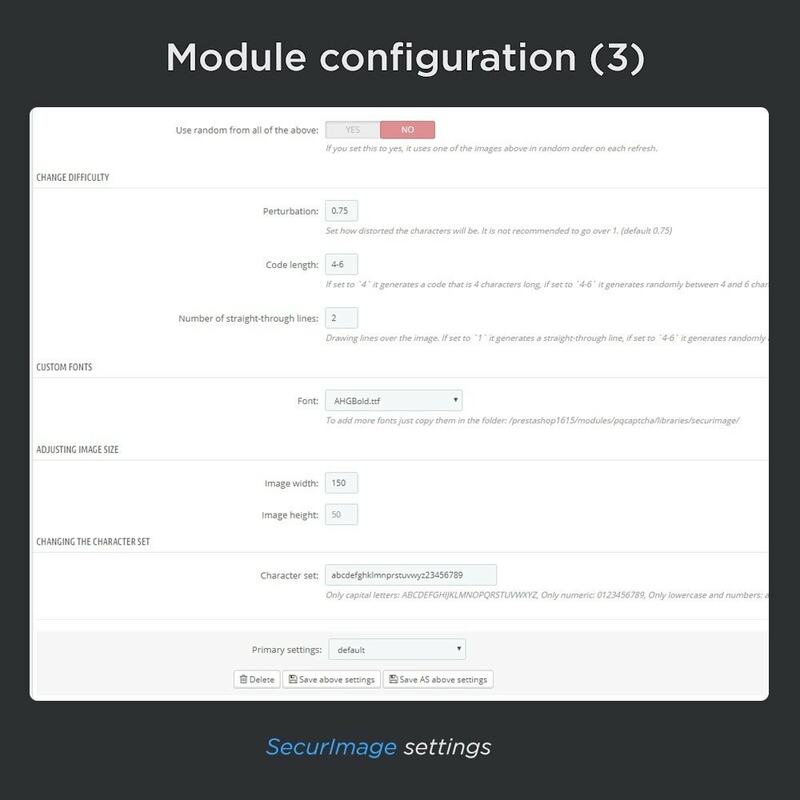 What features does this module has and other modules don't have? The module installs automatically via backoffice, for more informations regarding the installation and configuration please check the module folder for the file "readme_en.pdf"